A few days ago I made a compilation of some of the best Dutch Exotica* records that I ever came across. It has been a few years ago when I made such a compilation and of course there are always new finds that make a regular update necessary. Ten years ago I listened all day to instrumental 60’s music. As I said earlier, I don’t really get the exact definition for Exotica. I have received many tapes and CD’s with music called Exotica, that I would never call by that name. But who cares. There are in essence only two genres, good music and bad music. And I like both of them. To narrow your focus down to one specific type of music is like sport. The aim is to come up with a CD that is better than the individual tracks. It is not enough to just cram 25 great songs on one CD. There has to be an idea behind the compilation. The order of the tracks is also very important. And it does helps if attention is paid to the length of the pauses between the tracks, the volume of each track, the design of the sleeve, etcetera. Well, last night I just crammed 25 songs, that happened to fall of the shelf, on one CD and meanwhile draw a cover that would not even impress my daughter. The contradiction between the words Dutch and Exotica does not need to be explained, but I will do it anyway. If there is one thing you can not say about the instrumental music made by Dutch orchestra’s in the 60’s, it is that it is exotic. Only a handful of recordings on my CD sound as the title promises. 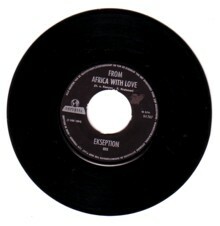 Like the song that Ekseption released on a 45, before their breakthrough as modern interpreters of classical music. So, the music on the CD that I put together last night is more James Last than Les Baxter. But, hey, if you think you can do it better, go ahead!